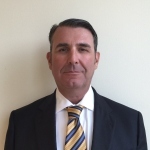 Mr. Casilio is an acting Partner and Portfolio Manager focusing on designing, implementing, and managing the portfolio management process. “Our goal is to build an investment portfolio to meet the goals and objectives of our clients. If we can succeed in achieving that, then we’ve done what our clients and the profession expects us to do.” Corey began his career in New York with Merrill Lynch Global Private Client Group where he served as a lead investment analyst and progressed to creating and managing a disciplined equity strategy for one of their largest producing Global Wealth Management Groups. 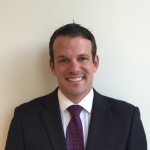 Mr. Leitch is an acting Partner and Wealth Manager specializing in financial advisory services relating to retirement planning, portfolio allocation modeling, and developing actionable strategies to assist clients in achieving financial security. “We are of the mindset that you only have to get rich once, or that when you reach your level of financial independence, why jeopardize it by not having a disciplined strategic plan?” William has a Master’s of Science in Financial Analysis from The University of San Francisco. He previously worked in TD Ameritrade’s High Net Worth department, Morgan Stanley’s Financial Advisory Group, and was a trader on the Pacific Stock Exchange. 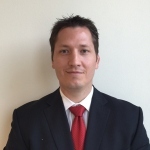 Mr. White is an associate at Casilio Leitch Investments heading up the team’s interests in customizing retirement planning and cash flow management solutions for our clients. His responsibilities are at the forefront of CLI’s advisory process of creating a Wealth Management Plan, utilizing a Monte Carlo analysis to assess the probability of our clients achieving their financial goals and objectives. Additionally, Matthew formulates financial models to analyze various scenarios, optimize the tax efficiency, and maximize flexibility for clients’ short and long-term cash flow needs. Mr. White is a graduate from Loyola Marymount University in Los Angeles with a BS in Economics. Advisory Services provided through Casilio Leitch Investments, a CA State Registered Investment Advisor. The information on this website is not intended as an offer to purchase any particular funds or investment products.